THE National Insurance Commission, NAICOM, has said that prospective microinsurers must maintain a statutory deposit of 10 percent of the minimum capital requirement with the Central Bank of Nigeria, CBN. This is one of the highlights of the revised microinsurance guideline released by NAICOM last week. The guidelines stated, “A microinsurer shall maintain with the Central Bank of Nigeria a statutory deposit of 10 percent of the minimum capital requirement. The Commission also stipulated liquidity benchmarks for microinsurers, saying: “A unit microinsurer shall, in respect of its insurance business in Nigeria, maintain at all times a 50 percent liquidity margin being the excess of the value of its admissible current assets in Nigeria over its current liabilities in Nigeria. “A state microinsurer shall, in respect of its insurance business in Nigeria, maintain at all times a 35 percent liquidity margin being the excess of the value of its admissible current assets in Nigeria over its current liabilities in Nigeria. “A national microinsurer shall, in respect of its insurance business in Nigeria, maintain at all times a 25 per cent liquidity margin being the excess of the value of its admissible current assets in Nigeria over its current liabilities in Nigeria. “A microinsurer transacting any class of microinsurance business shall in respect of its life business once in every period of five years cause an investigation to be made into its financial position by an actuary appointed or secured by the microinsurer. 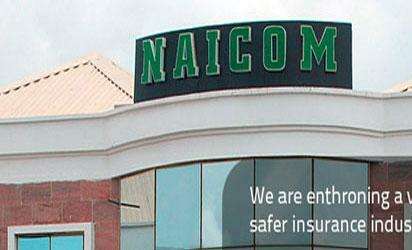 Also, NAICOM mandated microinsurers to conduct a Know-Your-Customer, KYC, check on every prospective customer to confront issues of impersonation and other fraudulent acts in the insurance industry even as it gave out standard commission rates that insurance brokers should charge for every class of business to prevent irresponsible and indiscriminate charges. While stating that the KYC will reduce the risk of frauds, the regulator mandated brokers to charge five per cent for single premium policies and 15 percent for non-single premium policies throughout the premium payment period. For non-life insurance business, fifteen per cent of the premium shall be charged. “The Commission may in line with extant laws prescribe the rate of commission from time to time”, NAICOM stated. The post Micro-insurers must deposit 10% minimum capital with CBN — NAICOM appeared first on Vanguard News.